A Christmas Celebration – How Has Jesus Changed Your World? On this Christmas Day my prayer is that we remember why we celebrate and more importantly how much Jesus loves us, accepts us and forgives us not just today but every minute of every day of our lives. 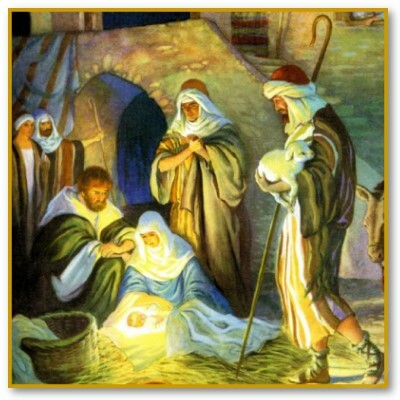 If Jesus had not been born we would not know Him as our friend, our father and our savior. How has Jesus affected and changed your life? I love this story as James Allen tells it! I don’t know who anyone could say has impacted more people, and so personally, as Jesus has. My life is forever changed. Still a sinner, Still not perfect, but FORGIVEN! You are so right Greg, couldn’t have said it better! Thank you for your continued leadership and courage to lead people to the truth! Hi just wanted to say that I like your blog very much. Please keep up the good posts. Thanks a ton! Have a good day!